Lyon aim for an unprecedented third straight title while Fiorentina and Ajax make debuts as the round of 32 starts on Wednesday: we introduce the teams in the knockout phase. Have gone out to Russian clubs in all of their three previous campaigns (including Zvezda in 2014/15 and 2015/16). Have a new-look squad this year based mainly around teenage Russian talent. Making their debut after winning Serie A for the first time last season. Ended their run of seven straight round of 16 exits before a quarter-final loss to Manchester City. Have refocused their squad this summer around young Danish players while allowing several foreign players to leave. Won the Swedish title for the second time last season. Pipped 2017 UEFA Women's Champions League runners-up Paris Saint-Germain to France's second berth to end an eight-season absence from Europe. Their only two knockout losses (FFC Frankfurt in the 2006 semi-finals and Umeå in the 2010 last eight) were on away goals. The Perm side reached the last UEFA Women's Cup final on debut in 2009; their perfect round of 32 record was ended by Manchester City last season. Ended their run of round of 32 losses against Verona last season. Have already retained the Kazakhstan title to book a 2018/19 spot. Have won the last ten Scottish titles and but in a tight race for an 11th with Hibernian, who went out in the qualifying round. Have made it through the qualifying round for only the second time in 13 attempts but beat Sparta Praha on penaties in their only previous knockout run before losing to Brøndby (who they defeated 2-0 in the second leg). Have signed Chile's Maria José Rosas. The only qualifying round entrants to be seeded in the last 32, coming through as best runners-up. Topped Barcelona to win their first Spanish title last season. Since losing to Lyon in the quarter-finals last season, the only time they have failed to reach the last four, Stephan Lerch has taken over from sporting director Ralf Kellermann as coach. Had 14 players at UEFA Women's EURO 2017 on their books, more than any other club. Beat Paris Saint-Germain 3-1 in the first leg of last season's round of 32 only to lose the return 4-1 to the eventual runners-up. 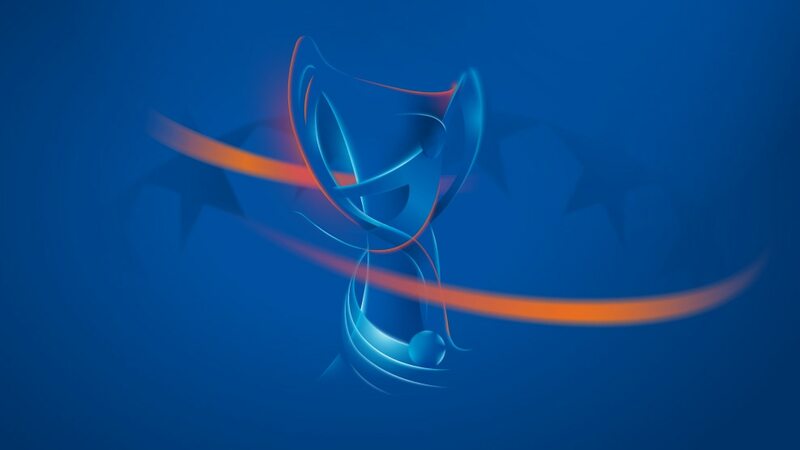 In the knockout phase for a record 14th time, having entered 15 of the 17 editions of this competition. Their squad is much-changed this season with the likes of Katrine Veje, Mie Jans, Simone Boye and Nicoline Sørensen departing while Swedish trio Saga Ollerstam, Emma Pennsäter and Hanna Perrson (the latter two on loan from Rosengård) have arrived along with Finland midfielder Olga Ahtinen and American Nicole Robertson. The only debutants to get through the qualifying round, their squad includes UEFA Women's EURO 2017 winners Desiree van Lunteren, Stefanie van der Gragt, Sisca Folkertsma, Kelly Zeeman and Liza van der Most. Beat Liverpool and Fortuna Hjørring on their way to the 2015/16 quarter-finals but the tables were turned by the Danish side in last season's round of 16. Have won their third straight Austrian title since ending Neulengbach’s 12-year reign. Won their first English league title in 2016 and reached the semi-finals of this competition on debut, even beating Lyon in the away second leg. Summer arrivals include Mie Jans, Claire Emslie and Pauline Bremer, formerly of OL and swapping places with Bronze. Duggan joined Barcelona and Kosovare Asllani went to Linköping. Have lost to Wolfsburg on both previous entries including at the round of 32 last season (as well as in an August friendly). Won the transitional English 'Spring Season' title as the FA Women's Super League filled in the gap before moving over to a winter season for 2017/18. The only Frauen Bundesliga club to have entered Europe and not won the competition, going out to Paris Saint-Germain as they reached the quarter-finals last season. Summer arrivals include Mandy Islacker, who scored the winner in the 2015 final for FFC Frankfurt, and UEFA Women's EURO 2017 winners Jill Roord and Lineth Beerensteyn. Have got through the qualifying round three years running, finishing above Zürich this season. In the round of 32 last season scored in added time to draw the away leg 1-1 at Apollon and then came back from two down to win the return 3-2. Have made it through the qualifying round for the fourth year running; lost to Brescia on away goals last season after a game that ended 6-6 on aggregate. Aiming to become the first team to win three years in a row, Lyon's summer signings under new coach Reynald Pedros include England defender Lucy Bronze and Dutch UEFA Women's EURO 2017 winner Shanice van de Sanden. Are in Europe for the 11th season in a row. On a run of three straight round of 32 losses having previously won four in a row. For the second year runing the only of the 33 entrants of the inaugural 2001/12 UEFA Women's Cup to be involved in the round of 32. • Best performance: round of 16 (2013)Their two round of 32 losses came against Lyon (2011/12) and Paris Saint-Germain (2015/16). The Malmo club retained the Swedish Cup on 27 August with a last-gasp Sanne Troelsgaard Nilelsen goal against league champions Linköping, with whom they are again in a tight title race. UEFA Women's Player of the Year Lieke Martens left Rosengård for their 2016/17 quarter-final nemeses Barcelona in the summer. Coach Jack Majgaard Jensen left last week to be replaced by Malin Levenstad. Lost to Lyon at this stage on debut last season. As well as Martens, the 2016/17 semi-finalists have signed Toni Duggan, Fabiana, Nataša Andonova and Élise Bussaglia this summer to significantly increase their foreign contingent. Fran Sánchez took over from long-time coach Xavi Llorens. Holders Lyon will begin their bid for a third straight title against Medyk Konin while Chelsea face Bayern München and Atlético Madrid take on Wolfsburg after the round of 32 draw was made.